Testing IP networks under realistic network conditions requires the simulation of impairments and other realistic network conditions expected on networks. There are also many enterprise-level applications designed to work on different networks such as enterprise networks, storage, cloud services, web services, ftp, audio /video streaming, and so on. Such applications also require testing with the real network conditions prior to live deployment. There are a number of ways to do this. A basic method is to use network simulation devices such as IP WAN Link Simulators. 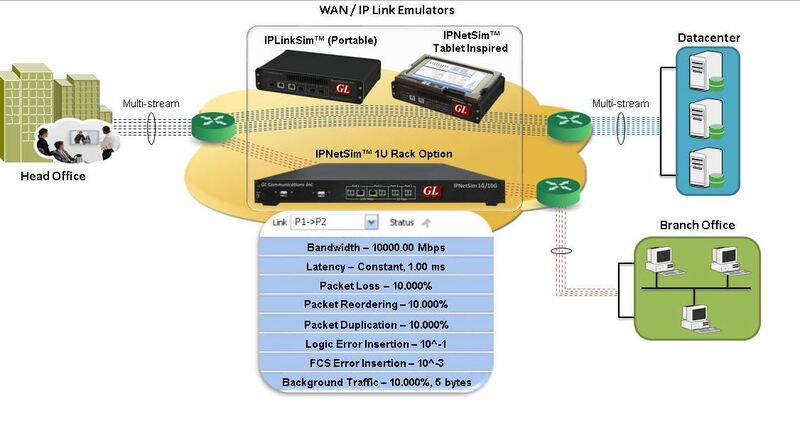 GL’s WAN emulators are: IPLinkSim™ and IPNetSim™ and these two products are capable of emulating a WAN link, and introducing typical WAN impairments like Bandwidth Throttling, Latency, Jitter, Packet Loss, Packet Reordering, Packet Duplication, Packet Corruption, Congestion Emulation etc. Both the products act as a transparent Ethernet bridge and can be connected between two LANs easily emulating a WAN link in the lab. 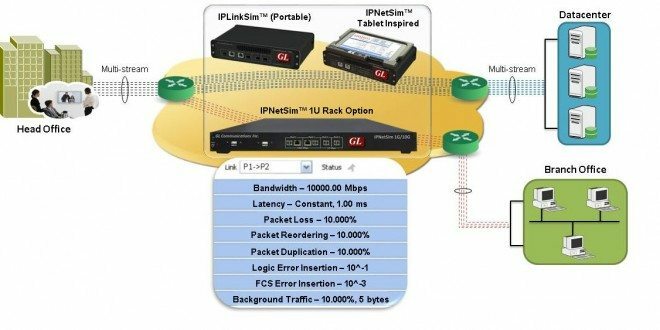 IPNetSim™ supports user defined streams to classify the traffic into up to 4 streams (for 10Gigabit link) and 16 streams (for 1Gigabit link), and applying separate impairments for each stream independently, thus emulating multiple WAN links within a single device. It also supports bi-directional full wirespeed emulation i.e., approximately 30 million packets/sec in each direction aggregating to a total 60 million packets/sec. 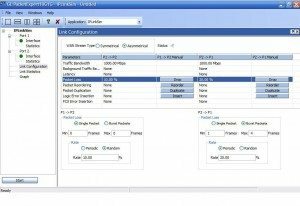 GL’s WAN emulator’s Packet Loss model has been enhanced with a randomize option. 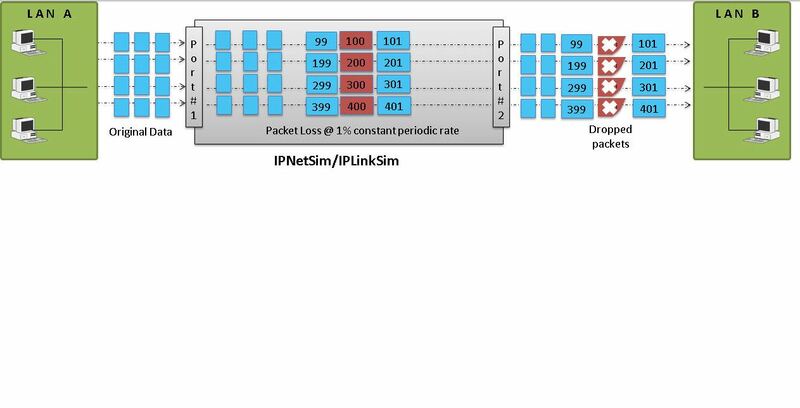 Now, the Packet Loss model has two options – Periodic and Random Loss. 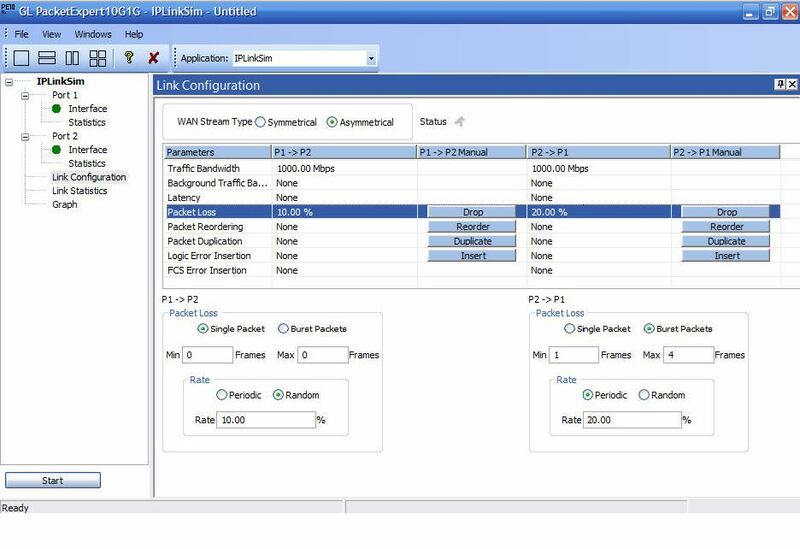 User can set a Packet Loss Rate and select either Periodic or Random to emulate the loss. For Periodic emulation, the packets selected for dropping will be constant and predictable. Eg: if a Packet Loss rate of 1% is specified by the user, then 1 packet out of 100 packets will be dropped i.e. for every 100 packets received, 100th packet will be dropped consistently. In real world conditions, Packet Drop is not predictable, since packet dropping will be random. To help emulate true real life Packet loss, option for “Random Packet Loss” has been introduced. Using this option, user can randomize the packets selected for dropping. Though packets are selected randomly for dropping, the configured rate is still maintained. Real world Packet Loss is many times bursty in nature i.e. a bunch of consecutive packets are lost. To emulate such conditions, a new feature “Burst Packet Loss” has been added. This feature allows user to drop a burst of packets at a time instead of a single packet. User can specify the Minimum and Maximum burst size (in terms of packets), and at run time, a random burst of packets (between the Minimum and Maximum) will be dropped at a time. Another enhancement to the Packet Loss model is manual drop. As show in the screen below, this allows user to manually drop either a single packet or burst of packets at run time. This drop will be in addition to the rate packet loss if active. Packet reordering model has been enhanced to include Random Packet Reordering, in addition to the existing Periodic Packet reordering. Using the Random option, user can randomize the Packets selected for Reordering, but still maintain the specified Reorder rate. Once a packet has been selected for reordering, it will be held for a certain amount of time before being reinserted into the stream and this time is user configurable. A new option has been added to this delay, and it is based on the Packet Offset. User can choose to configure the delay in terms of time in milliseconds, or Packet offset, in terms of number of frames. User can specify the minimum and maximum packet offset, and the offset selected at run time will be a random value between the maximum and minimum defined value range. For Packet offset delay, the reordered frame will be held until the configured offset frames are received, before being reinserted into the stream. Similar to Manual drop, user can choose to introduce instantaneous packet reorder at run time. When selected, it will immediately reorder a single packet.